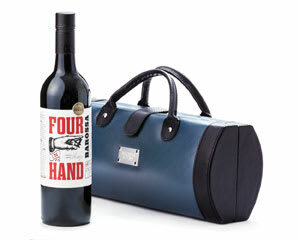 Four in Hand is an impressive medium bodied Barossa Shiraz created by winemaker Chris Hancock. Four in Hand is an impressive medium bodied Barossa Shiraz created by winemaker Chris Hancock. Although one can't compare this to the six vintages of Penfolds Grange he has made in the past, it is a superb effort and we think that this is a great gift for clients and staff, family and friends.